Valletta 2018 is pleased to announce that it is collaborating with the Sliema Local Council on one of the most anticipated events this summer season – the Sliema Arts Festival. A variety of local and foreign artists will participate in the festival, bringing the town to life with colourful street art, among these are: Mighty Box Games, Matthew Pandolfino, Tom Farrugia, Elisa von Brockdorff, Patron Magazine, Architecture Project (AP), Zvezdan Reljic, Chris Zarb and many more. Other than visual art, the festival also includes exceptional music performances by The New Victorians, the Areola Treat, Electro Swing Malta and many more. A series of chill out areas by the beach will also be open to anyone wishing to kick back and relax. Click here for a full programme of events and here for the official video promo. 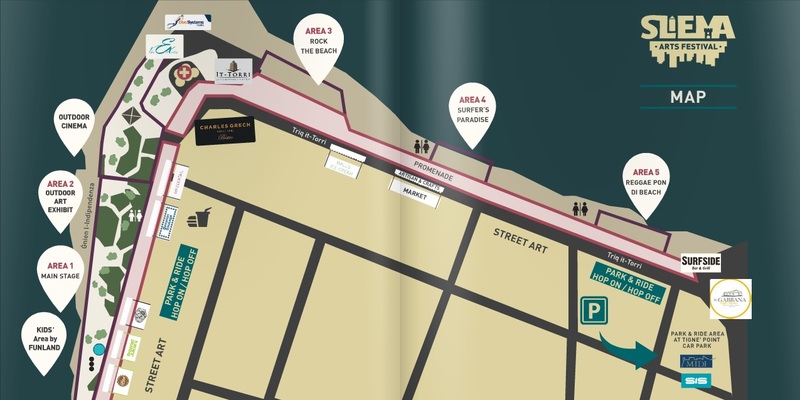 Also check, the Sliema Arts Festival Facebook Event page for more information.